Keep floss and threads organized and will last a life-time! Wind floss on Plastic Bobbins and label with color name and/or number. A durable accessory for your floss organizer. Easy to add left over ends to bobbins. 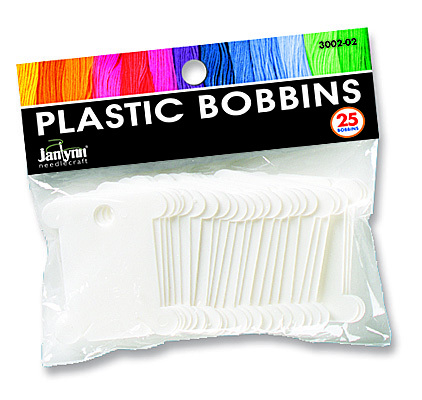 Package contains 25 Plastic Bobbins. Product of DFN™, Designs for the Needle, Inc.